Prominent University Enhances Campus Life with Genetec IP Access Control. Every student wants to enjoy a safe and vibrant campus life. That’s why the University of Hull in the United Kingdom continues to upgrade its security. With over 30 buildings on two campuses, the University knows that when its students and staff safely move from the classroom and the library, to the sports complex and the dorms, they’re able to focus on what matters most – getting good grades and enjoying life. And, that creates a dynamic university experience that keeps everyone happy and enrollment up. Big upgrades require planning and time. A while back, the University of Hull began its migration to IP security by implementing the Genetec™ Omnicast™ video surveillance system. Years later, a failing mag-striped access control system became the focus. Not only was the technology outdated, but acquiring replacement parts was becoming more difficult and expensive. The goal was to balance accessibility and openness on campus. For that, the team wanted an access control system that could be expanded to one building or door at a time. They also wanted an open system, so they could choose their own hardware, keep costs down, and possibly add new applications to enhance the campus experience. After considering five solutions, the University of Hull chose Security Center, the unified security platform from Genetec Inc to secure one campus and one external Halls of Residence. The flexible platform unifies IP video surveillance, access control and automatic license plate recognition in one easy-to-use solution. Getting around campus is a breeze. That’s because the University of Hull has upgraded one campus and one external Halls of Residence — a total of 317 doors— to the Synergis™ IP access control system of Security Center. The security team monitors these doors and 225 cameras using the unified platform, all from a central control room. Facilities, Human Resources, and Student Administration departments handle most access control tasks, including requests from over 50,000 cardholders. Since keeping costs down was a priority, the Information and Communication Technology (ICT) team chose to implement the Synergis Cloud Link. 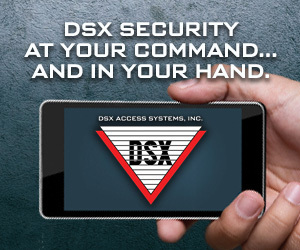 It’s an intelligent IP controller that supports non-proprietary access control hardware. Thanks to the open platform, life on campus keeps getting better. The university chose the MIFARE® DESFire® EV1 card technology from HID Global. 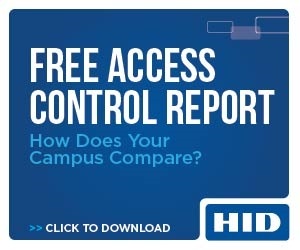 For students living on campus, support for HID Mobile Access credentials means that there is no more fussing with cards to get into their dorms. “Students have their phone glued to hands,” said Moore. “So why not give them convenient access to their dorms by using their phones?”. Using Bluetooth connectivity, the secure application lets student unlock a door with a simple swipe on their phone or by tapping their phone to a reader. All credentials and access privileges are easily managed within Security Center. Issuing cards to 8000 students each semester gets hectic. Using the Genetec Software Development Kit (SDK), the University has simplified the enrollment process. The ICT team developed a custom integration between Security Center and its student and staff records system, ensuring all information is automatically synced in real-time. Ensuring the right privileges is not only for security. It also helps the university better manage program resources. For instance, first-year Science students won’t have access to second-year student labs with specialized equipment, products, and chemicals. Visitors are also getting a first-rate experience on campus. Staff uses the Visitor Management feature of Security Center to issue temporary cards to conference attendees, independent researchers or contractors. “It’s been very easy-to-use, and gives our visitors the freedom to roam without putting our assets or people at risk,” said Moore. At the University of Hull, expansions are ongoing. As a new Health building and Sports Pavillion are near completion, the team will add another 70 doors, 30 cameras and an intercom integration using the Sipelia Communications Management module. The University is also upgrading to the latest version of Security Center to access features that keep its system fully redundant and secure. “Having Genetec Security Center at our university has improved the collaboration across all of our departments, helping to collectively better secure our campus. More than that, it’s enhanced our campus experience in countless ways, giving staff, students and guests the freedom to enjoy everything our university has to offer. At the end of the day, that’s what securing our campus is all about,” concluded Moore.